Xin Inventory 2.0 helps the business owner to keep track payment receive from the customer, this is very important because it's helps business owner to know the flow of revenue to maintain efficient operation. Without payment from the customer, the business is hardly run smoothly. 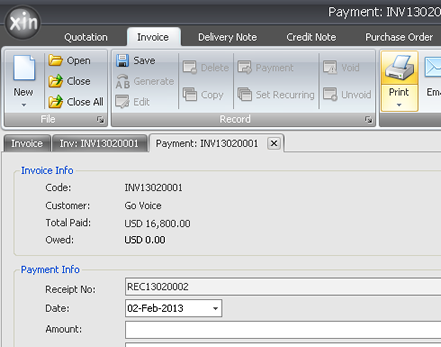 Demo below shows how easy is it to use Xin Inventory 2.0 to keep track of customer payment.